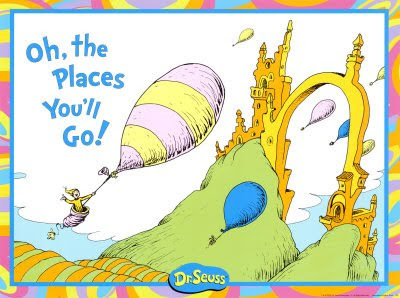 How could anyone get through childhood without a fun, fantastical story from Dr. Seuss? His fun, simple, rhyming phrases always bring a smile to my face. He embraces the child that so many people lose. Growing up doesn't mean losing the fun. Take today to remember what you loved and who you were when you were young and carefree. And try to incorporate that person into who you are today. Go on, it'll be fun! Strange but true... I didn't read any Dr. Seuss when I was a kid, and it was never read to me. In fact, the first time I ever even heard of Dr. Seuss was when I was a teenager and watched "The Grinch Stole Christmas." what! i refuse to believe anyone is ignorant enough to not know dr seus! Love Dr. Suess! And Hugh Loftner is buried right here in my hometown of Killingworth, CT with his two wives!